Zions Bank, a division of ZB N.A., operates 121 branches throughout Utah, Idaho and Wyoming. Founded in 1873, Zions Bank has been serving the communities of the Intermountain West for more than 140 years. Zions Bank offers a full suite of banking products and services, and has consistently ranked as the No. 1 lender of U.S. Small Business Administration 7(a) loans in Utah for the past 24 years and Idaho’s Boise District for the past 16 years. Jones Waldo St. George has been serving the community for more than 38 years – making it one of the oldest and well-known firms in the city. Lawyers in the St. George office are committed to community service and have served on many boards and committees as well as in the trenches supporting community events. 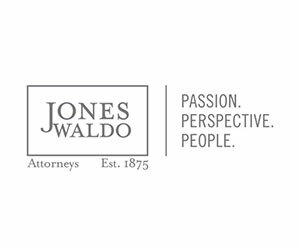 Jones Waldo’s St. George lawyers are fully integrated into the firm and can call on the full resources of the firm’s offices in Salt Lake City, Park City, Provo and Chicago, as well as tap into the broad range of expertise of the firm’s attorneys in those offices. The days start early and often end late as Jones Waldo lawyers carry out their commitment of service to their clients and community. Whether you’re buying, selling, or financing this year, you will need a title company you can trust. 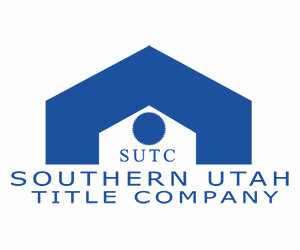 As Southern Utah’s oldest and largest title company, we have the experience to keep you informed and provide you with the information you need to be successful. We have built our reputation on principles of Accuracy, Integrity, and Timeliness. 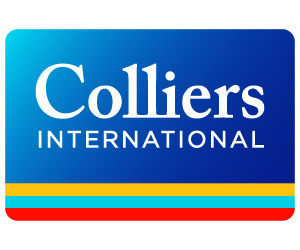 By maintaining these core values, we have earned a large selection of underwriters which allows us to offer the most competitive rate for your transaction. 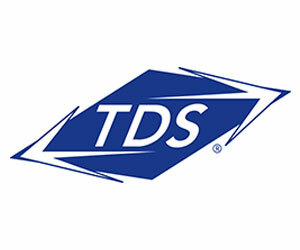 TDS Telecommunications Corporation is the seventh largest local exchange telephone company in the U.S and a growing force in the cable industry. TDS provides 1.2 million connections to high-speed internet, phone, and TV entertainment services in more than 150 communities. Since TDS acquired Baja Broadband in 2013, TDS has invested heavily in infrastructure upgrades, nearly $25 million in Utah alone. These upgrades allow TDS to provide faster Internet speeds. TDS offers a range of products to residential and business customers in Utah, including: voice services, advanced calling features, digital HD video and high-speed internet. In November 2016, TDS acquired InterLinx Communications and their subsidiary, Tonaquint Networks. 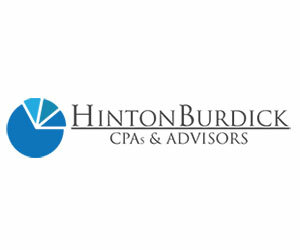 For more than 35 years, HintonBurdick has established a reputation for providing auditing services of the highest quality and value. HintonBurdick has dedicated professionals who can help you with all your business needs from entity selection to help writing a business plan. You can rely on our experience to help guide you through complicated federal and state laws to set up the entity that makes the most sense for your situation. We can provide payroll and accounting services ensuring your work is done properly and timely. Trained professionals will be able to provide you with meaningful information and assist you in important management decisions. Our clients appreciate working year after year with the same accountant for tax preparation, tax planning, and year-round support. Whether you’re an entrepreneur trying to take your business to a higher level or a loan officer looking to help your small business client, Mountain West Small Business Finance (MWSBF) is your dedicated partner in supporting the entrepreneurial spirit that spurs our economy and community. MWSBF has been able to help thousands of businesses in Utah and surrounding mountain states with their building and equipment needs through SBA 504 loans, a lending solution that is as competitive as it is flexible. With as little as a 10% down payment requirement, low monthly payments, and a low fixed interest rate, SBA 504 loans are just what small businesses need to take the next step. Talk to a member of MWSBF’s team of experienced economic development finance professionals today to learn how your business can access various state and federal finance opportunities for growth, expansion and job creation. 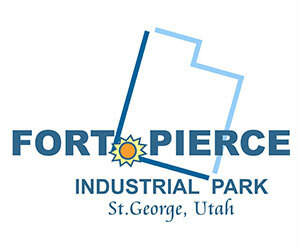 Fort Pierce is a booming M1 Industrial area located in Saint George, Utah. It is situated between the city of Saint George and the new Saint George International Airport. It consists of various 1 to 15 +/- acre lots, from raw land to pad ready lots available. The area’s premier industrial park has the cheapest power in the state. If you are considering starting a new business, expanding, or relocating your exisitng business, we may be the best industrial location for you. 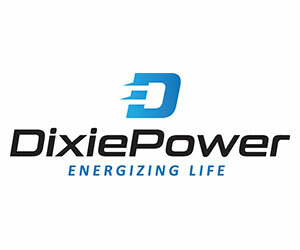 Dixie Power is an electric cooperative providing electric utility services to approximately 20,000, members in Southern Utah and Northern Arizona. Dixie Power has offices in Beryl and St. George. 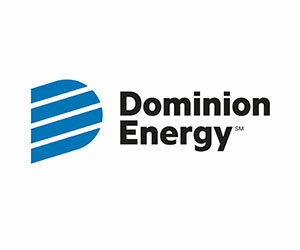 The mission of Dixie Power is to endorse cooperative core values of integrity, accountability, innovation and commitment to community, to provide our members with safe, reliable, affordable and equitable energy and related services empowering the members and the communities we serve to succeed and thrive in a volatile economic environment. Soltis Investment Advisors, LLC is a fee-only registered investment advisory firm. With offices in St. George and Salt Lake City, the firm currently manages or advises on assets of approximately $1.7 billion. Soltis provides wealth management and comprehensive financial planning services to individuals and families. In addition, we offer investment advice and plan consultation to retirement plans for successful small to medium sized businesses. These services are provided independent of any third party relationship. Soltis enjoys the distinction being one of a few firms in the western United States that benefits from the Centre of Fiduciary Excellence’ CEFEX designation. 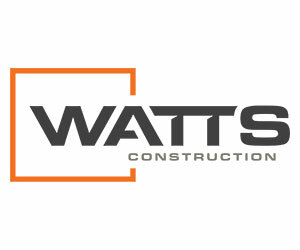 Watts Construction has been a proud Partner to St. George Area Economic Development since 1996 and is a flagship construction manager in Southern Utah celebrating our 50th year in business. From an inspiration to the completed building we thrive on both the visual experience and the rewards of incredible collaboration. Watts has played a key role in establishing the identity and growth of Southern Utah. This is our history and will be our legacy. We are locally owned and passionate about our commitment to excellence in our community. We guarantee that through construction management, at the earliest cycle of project development, your project will be the most economically efficient possible. At Watts, Experience Builds Excellence! 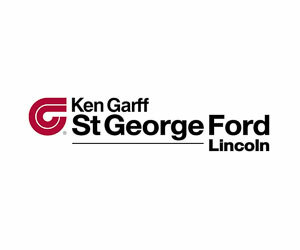 Ken Garff St. George Ford Lincoln are dedicated to finding you the right car at the right price. For over 35 years, our dealership has established itself through the use of a strong, committed sales staff who focus on satisfying customer needs. If you need help with any aspect of the buying process, please don’t hesitate to ask us. Our customer service representatives will be happy to assist you in any way. Whether through email, phone or in person, we’re here to help you get the customer service you deserve. In 1852, Henry Wells and William G. Fargo founded a banking and express company that has since become part of the American story. 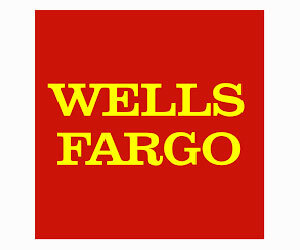 The history of Wells Fargo is about more than our past. It is the story of service to customers and communities across the world. Our history has roots that continue today and set the foundation for tomorrow. When we started DATS Trucking in 1988 we had a single goal – to become the best provider of LTL transportation services in the state of Utah. Our focus on providing you with superior quality motor freight service has paid off. Thanks to a lot of hard work, and the loyal support of hundreds of customers, DATS has grown dramatically. The past years have been very exciting and gratifying. Our DATS team has accomplished a lot in a short time. Our promise to you is that we will work harder and smarter to remain “Your Quality Service Carrier.” We look forward to meeting your transportation needs. 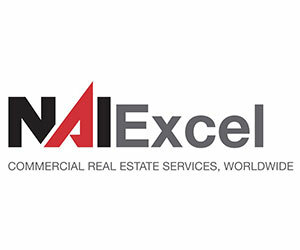 Founded in St George, NAI Excel is a leading provider of commercial Real Estate Services in the West. With offices in St George, Lehi, and Las Vegas, we are part of the NAI Global network of over 400 offices and 7,000 professionals covering nearly every major market nationally and across the globe. NAI Excel and NAI Vegas are subsidiaries of Brokers Holdings, LLC. 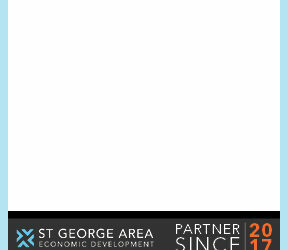 Headquartered in St George, Brokers Holdings owns and operates both residential and commercial brokerages. It operates its residential brokerages under the ERA Brokers Consolidated brand and is licensed in Utah, Nevada, and Arizona. It operates its commercial brokerages under the NAI brand and is licensed in Utah, Nevada, and Idaho. With over 300 agents and staff, Brokers Holdings closes over 3,000 transactions worth nearly $1 billion in value each year and manages over $250 million in assets. 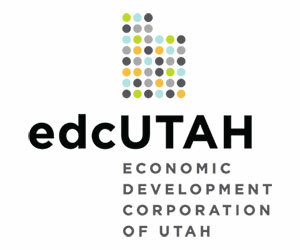 EDCUtah is a public/private partnership that works with government and industry to attract and grow high-value companies, and spur the development and expansion of local Utah businesses. Our mission is excellence. We provide exceptional workers compensation insurance services to our policyholders, business partners, workers, and others we serve. We demonstrate uncompromising commitment to corporate responsibility in all we do. 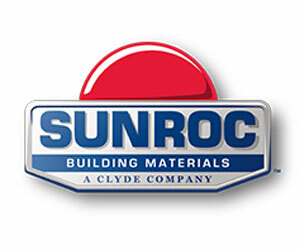 Sunroc Corporation is the Intermountain West’s premier supplier of construction materials and services. With 200+ skilled professionals employed throughout 24 locations, Sunroc offers quality craftsmanship for projects of all shapes and sizes. If your next project requires concrete, masonry, asphalt, sand & gravel or construction services, give Sunroc a call and ensure your project receives the attention it deserves. Sunroc’s clients include municipalities, state agencies, professional contractors and serious do-it-yourselfers from Las Vegas, Nevada to Rock Springs, Wyoming. It is Sunroc’s prerogative to continue to exceed its clients’ expectations. 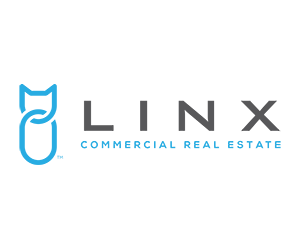 LINX is a full-service commercial & investment real estate brokerage and property manager serving Southern Utah and Southern Nevada. Small but mighty, we offer some of the most experienced and awarded brokers in the region that focus on solutions and advisory relationships with our clients. We believe in collaboration, creativity, and communication, and have structured a powerful and agile company to support our philosophy. We are market insiders, with deep roots and connection in the community, and are committed to excellence and your outcome. Please call us today to find out how we can make a lasting difference in your business. Durham Jones & Pinegar is a leading law firm with offices in St. George, Salt Lake City, Lehi, Ogden and Las Vegas. 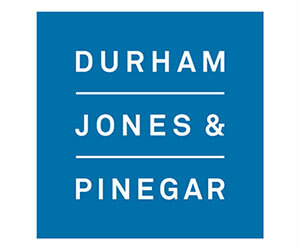 With local roots, Durham Jones & Pinegar understands the needs of companies and individuals in Southern Utah. Our attorneys are dedicated to client success and service to the community. We benefit clients with national and international law firm experience, supported by an additional 50+ attorneys in the firm’s headquarters in Salt Lake City. The D|J|P St. George office specializes in: Business & Finance; Estate Planning; Litigation; Mediation & Arbitration; Real Estate Law; and Municipal & Government Law. For more than 30 years, SelectHealth has been committed to helping members stay healthy, offering Superior Service, and providing access to the highest quality of care. As part of Intermountain Healthcare, SelectHealth shares a nonprofit mission of healthcare excellence. Today, as part of one of the nation’s top-ranked integrated health systems*, SelectHealth and Intermountain Healthcare work together to enhance value by ensuring high-quality healthcare at the lowest possible cost for the community. As a new division of People’s Intermountain Bank, People’s Town & Country Bank is proud to be part of Washington County. We strive to be the best at strengthening the communities we serve. With the recent consolidation of Town & Country Bank with the St.George branch of Bank of American Fork, we have been able to expand our service with additional products and resources, while maintaining our commitment to the local community. We are part of a “Community-Banking Family” with offices from Cache Valley in the North to Washington County in the South. Our family includes Lewiston State Bank in the Cache Valley area, Bank of American Fork on the Wasatch Front and People’s Town & Country Bank in the southern part of the state. This provides our customers with 25 banking locations to serve them, each with local management. In each of the areas we serve, we care about the community. We are focused on economic development through our business loans, construction and mortgage lending, employee involvement in local groups promoting positive economic development, and contributing to worthwhile projects. State Bank of Southern Utah was founded in 1957 by community leaders who saw a need for a bank to service their local financial needs. The ability to make local decisions on loans and financial services has always been at the center on the banks culture and business model. Over the years, State Bank has remained true to our original business principles. Our board of directors are just as committed to community success today as our founding directors were in 1957. Although we have enjoyed solid growth over the years, the same spirit of helping other people achieve their financial dreams is still important to us. We invite you to stop by any of our offices throughout Southern Utah and find out the difference in Hometown banking. 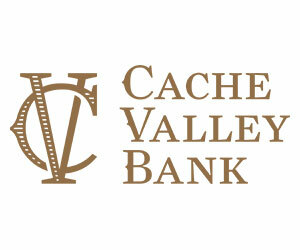 Cache Valley Bank was organized in 1975. It has fifteen branches, which are located throughout the state of Utah. The main branch is located in Logan, with additional branches located in North Logan, Layton, Ephraim, Mt. Pleasant, Fairview, Nephi, Loa, Price, and St. George. The bank’s mission since its inception has been to provide services to small businesses, farmers, and residents of Utah. The bank has experienced steady growth since the mid 1980’s and has now become the second- largest regulated institution in Cache County according to FDIC deposit surveys. We are excited to have expanded our services throughout the state of Utah. InfoWest provides High Speed Wireless and Fiber-Optic Broadband services to homes and businesses. In addition InfoWest is also recognized for its outstanding Telephone Service, Home Security, Networking, Computer Repair and Automation products. Established in 1994, InfoWest was the very first Internet service provider in Southern Utah. InfoWest has always been on the cutting edge of Internet technologies pursuing the newest and best ways to bring you the service you deserve! 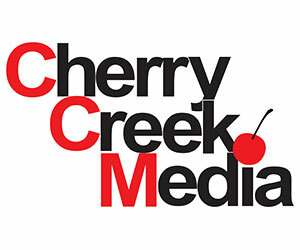 Cherry Creek Media is a small market radio, events, and digital company with an innovative approach. The company’s success comes through providing continuing marketing education for their clients in addition to in-depth comprehensive training for staff sales professionals. This strategic dual-focus on both internal and external operations and education drives success and revenue to the company and the advertisers we serve. The company is staffed and operated at the local market level, with seasoned radio professionals that know how to interact with local businesses and the community at large, and advocate for their success in an increasingly competitive environment. Cherry Creek Media offers the most diverse station portfolio in the area including: KSUB Talk Radio 590 AM; Kickin’ Country 107.3 FM/94.9 FM; Star 98 FM, B92.1 FM, KDXU News Talk 890 AM / 94.9 FM, ESPN Sports Radio 97.7 FM/1210 AM and Classic Country 99.1 FM/101.9 FM/106.1 FM. 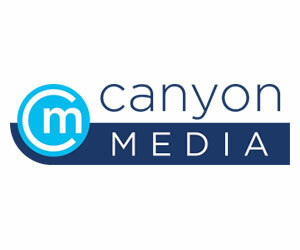 Canyon Media is an advertising and marketing corporation in Southern Utah that broadcasts 7 radio stations to the St. George, Cedar City, Mesquite, and Page markets. In addition Canyon offers social, web, texting, email, and Video services. As a company, Canyon Media provides creative and effective marketing, advertising and promotion based strategies for local and regional businesses. Canyon Media owns and operates Legendary radio properties like: 99.9 KONY COUNTRY, PLANET 94.1, 95.9 KZHK (THE HAWK). As the Southern Utah leader in multimedia advertising, Canyon Media offers a variety of advertising solutions. Canyon Media has built their reputation on delivering real advertising results for its clients’ marketing problems. The Spectrum Media is a consultative media company that provides you with the means to deliver your message to the right audience in the most effective manner. We take the time to get to know you and your business to understand not only where you are, but where you want to go. Our deep knowledge of Southern Utah means we have a complete understanding of the market and how to reach each segment of it. 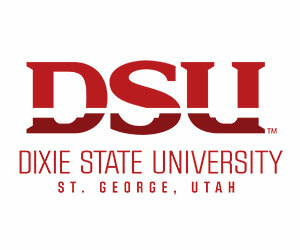 Dixie State University is a premier open enrollment teaching institution that offers a great value with more than 150 academic programs at one of the lowest tuition costs in the Western United States. The University was built upon a rich pioneering tradition of sacrifice, determination, and generosity that is still embraced by the campus community today. With the motto “active learning, active life,” Dixie State provides personalized and engaged learning experiences under the direction of skilled and devoted faculty and staff and is on the forefront of technology, health education, and entrepreneurship and incorporates cutting-edge learning practices across all disciplines. Consequently, students graduate prepared for rewarding careers and enriched lives. Outside of the classroom, students become involved in the community and are shaped through civic engagement and service learning and enjoy the unparalleled opportunities for an active life that accompany DSU’s location, which is set in a beautiful, world-renowned destination. 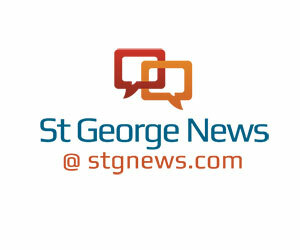 St. George News provides comprehensive and interactive news services focusing on matters of relevance to the communities of Southern Utah, especially Washington, Iron, Garfield, Beaver, Kane and San Juan counties. Our coverage includes news, sports, community events, opinion, lifestyle, business and other matters of concern and interest to the community that our readers can trust and enjoy. St. George News and Cedar City News also offer provocative and engaging opinion columns and entertain reader opinions through letters to the editor, comment forums and feature material submitted by members of the community and readers. Successful entrepreneurs know that it takes determination, dedication and confidence to realize their dreams. They also need the right support from experienced business advisors who they can trust. 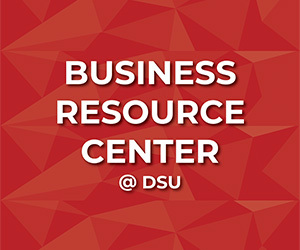 The Business Resource Center at Dixie State, servicing Washington and Kane Counties, is a one-stop-shop for all your business needs. Our service partners include: The TIE Center at Innovation Plaza, Patent Resource Center, SCORE, PTAC, USTAR, SBDC and the St. George Area Economic Development Office. These organizations provide business plan counseling, financing support, market analysis as well as training in: e-ecommerce, online marketing, social media, and much more. We also provide monthly training programs on the first and third Thursdays each month. 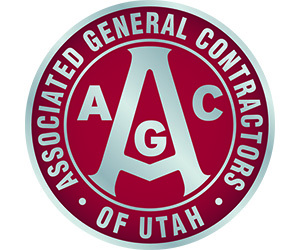 Commercial General Contractor with offices in Salt Lake City and St. George, Utah. We specialize in offices, medical, assisted living, industrial, manufacturing, retail, hospitality, multi-family and tenant improvements. Here at Bonneville Builders we assist our clients with more than just construction. We are often equity partners and always provide feasibility studies to ensure that each project meets its ROI expectations. We are proficient in Design-Build, Construction Management, CM@Risk and traditional hard bid delivery methods. 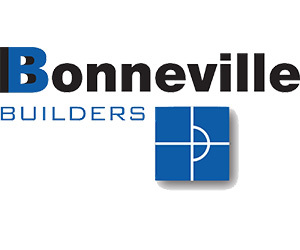 Bonneville Builders is committed to being true partners with every opportunity and endeavor. 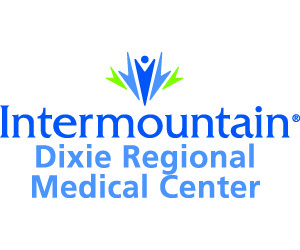 Intermountain Healthcare is a Utah-based, not-for-profit system of 23 hospitals, a Medical Group with more than 1,600 physicians and advanced practice clinicians at about 180 clinics, a health plans division called SelectHealth, and other health services including Intermountain Dixie Regional Medical Center and Intermountain Precision Genomics in St. George. Helping people live the healthiest lives possible, Intermountain is widely recognized as a leader in clinical quality improvement and in efficient healthcare delivery.